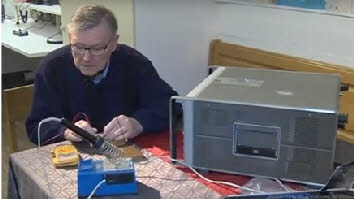 Although the 60m band has not been released for amateur radio in Switzerland, the Sursee Amateur Radio Club has obtained the necessary official authorizations for a Swiss 5 MHz Experimental Beacon project. Using the callsign HB9AW, the beacon became operational on 5291 kHz at 0000hrs on the 1st of June. The transmission commences with the call sign HB9AW in CW (100HA1B), followed by five 2 seconds-long dashes. 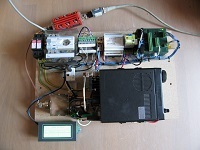 The dashes are each accurately attenuated in the EIRP power sequence 10W / 5 W / 1Watt / 100mW concluding with 10mW and currently repeats every 5 minutes, commencing on the hour. The beacon transmits from Sursee (Locator: JN47BE) on a half-wave dipole, configured for high-angle radiation as an NVIS ‘fountain’ type antenna at a height above ground of 0.12 of a wavelength. 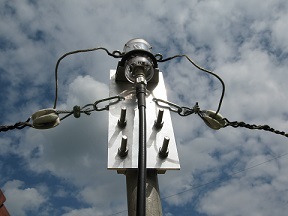 A reflector is placed beneath the antenna. 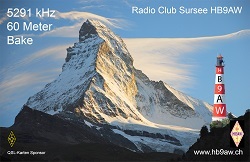 The aim of the system is to explore the propagation conditions on 5 MHz in the hills and valleys of Switzerland in relation to its possible suitability as an Emergency Communications band. They have deliberately chosen this type of steep radiation-angle antenna to study the propagation conditions within Switzerland itself and at the moment DX is only of secondary interest to them. They expect that the beacon will be heard during the day and night hours across Switzerland including the Alpine valleys. 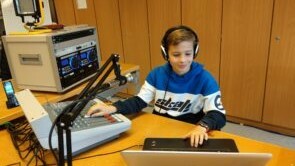 An on-line form on the Sursee Amateur Radio Club’s website accepts reception reports. The evaluation of these is done by a technical college. Reception reports are appreciated and will be entered into a raffle for an attractive prize !